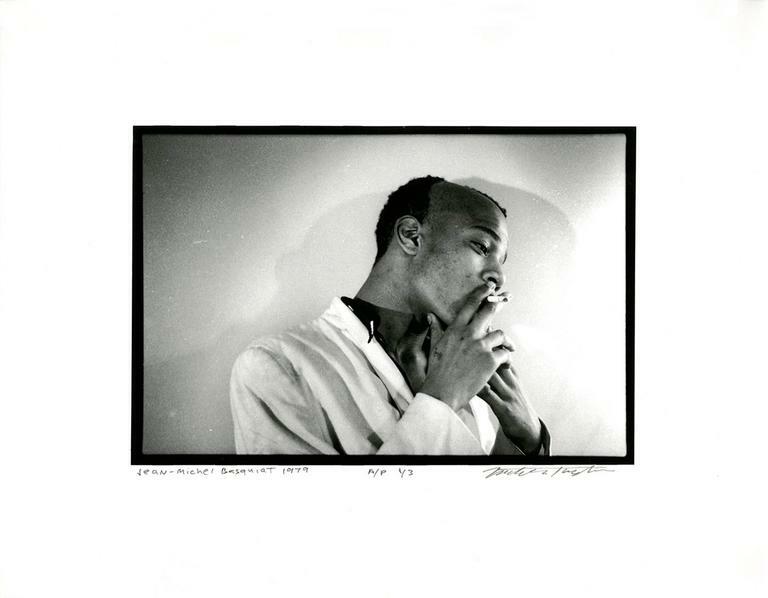 This work is taken from Nicholas Taylor’s famous portfolio documenting his friendship with Jean-Michel Basquiat - a friendship which began when both collaborated on the historic No Wave band “Gray” in the late 1970s before briefly living together. Taylor's clever exploration of light and dark not only offers a raw insight into Jean Michel's persona, but also communicates a tenderness and affection rarely captured in other photos of the artist. Selections from Taylor's portfolio will be exhibited as part of the upcoming Basquiat retrospective at London's, The Barbican Centre. 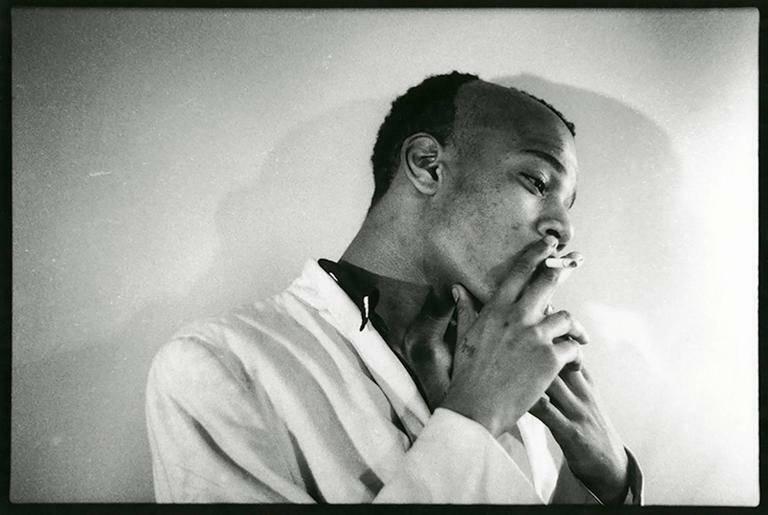 Nick's photographs of Basquiat have likewise been referenced in numerous notable publications, including those by Sotheby's and The Brooklyn Museum. Gelatin Silver Print, 1979 11 x 14 inches From an edition of 3 A/P’s Signed, dated and numbered 1/3 in pencil on the recto Some minor surface waves to upper area; otherwise excellent condition Obtained directly from artist Lot 180 is an authorized dealer rep of Nick Taylor Nicholas Taylor (American, b. 1953) is a renowned photographer and musician. Taylor moved to New York in 1977 to pursue a career as a photographer and it was through the vibrant New York art scene that he came to know the young artist, Jean-Michel Basquiat. 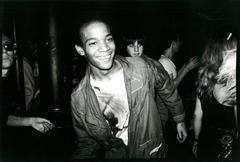 It was, in fact, his intimate portfolio of photographs documenting his friendship with Basquiat that rocketed Taylor to fame. The two would collaborate in the No Wave band “Gray” before Taylor launched a successful career as a DJ famous for track-looping. Taylor's track “Suicide Mode” would later be used in the soundtrack for Julian Schnabel’s 1996 film “Basquiat.” This work is shipped flat using protective materials. Related Categories Beat Bop. Downtown 81. Samo. Keith Haring. Andy Warhol.